Prime Minister David Cameron said the people of Northampton had been a “fantastic driver for the country’s economic recovery”. Speaking exclusively to the Chronicle & Echo, Mr Cameron has also praised Northampton North MP Michael Ellis’s campaign to receive extra money to fix damaged roads in the county. It was announced last December that Northamptonshire is to be given £79 million over the next six years specifically for repairing potholes . In 2015, the funding will total £15.2 million, followed by slightly smaller amounts until 2021. He said: “Earmarking funds to fix the country’s potholes has been an important part of our long term economic plan and Northampton should be proud. 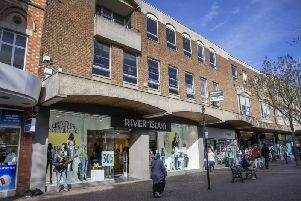 It was the campaigning of Michael Ellis MP and town residents which convinced the Government that the multi-million pound investment was needed. “Northampton has been a fantastic driver for the country’s economic recovery, boasting facilities like Cosworth’s Advanced Manufacturing Centre, which I saw first-hand last month. Mr Ellis said people in the town should be proud they were being talked about at the highest level of Government. Paul Sargeant, 67, of Landsdown Drive, Westone said he was very pleased the potholes had been fixed on his road. He said: “Potholes have plagued this estate for a long time. The tarmac in Charnwood Avenue and Fir Tree Walk was a nightmare.